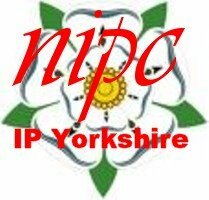 For over 11 years I have held an IP clinic in Barnsley on the second Tuesday of every month (see IP Yorkshire Clinics 17 Aug 2018). 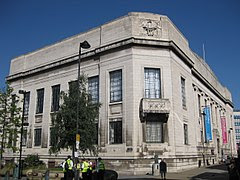 I have now been invited by the Sheffield Business and IP Centre to hold a similar clinic at Sheffield Central Library in Surrey Street. My first clinic will take place on Wednesday 10 April 2019 between 14:00 and 16:00. It will be very much on the same lines as the Barnsley clinic. Up to 4 free consultations of 30 minutes each will be available at each session. My clinics will supplement the CIPA's existing ones. As I wrote in Whom you gonna call? IP Professionals and what they do 2 April 2019 NIPC Wales, each of the intellectual property professions has its strengths. My expertise lies in IP strategy. dispute avoidance and dispute resolution and commercialization and I shall focus on those matters. Anyone wishing to book a slot should call Sarah Hogan, the Library and Information Officer, on 0114 273 4852 or email her on Sarah.Hogan@sheffield.gov.uk. Anyone wishing to discuss this article may call me on 020 7404 55252 or send me a message through my contact form. Nothing may be done between now and the 29 of this month in which case the UK will leave the EU at 23:00 on the 29 and EU law will cease to apply. We shall not learn which of those four will happen until 12 March at the earliest and perhaps not even then if the withdrawal agreement is voted down again. My presentation to Sheffield Business and IP Centre at Sheffield Central Library on 6 March 2019 considered the consequences for IP of each of the four scenarios. It analysed the IP provisions of the draft withdrawal agreement which will be implemented under draft secondary legislation pursuant to the European Union (Withdrawal) Act 2018 from midnight on 1 Jan 2021 at the latest if that agreement is approved by Parliament. Such secondary legislation will come into effect at 23:00 on 29 March 2019 if the UK leaves the EU without a withdrawal agreement. The legislation will not be needed at all if the 2017 notice is revoked. Its implementation will be delayed until at least the end of the extension period if the 2-year notice is extended. The presentation considers the future of the Unified Patent Court and the unitary patent. If the 2017 notice is revoked the UPC Agreement could come into force with continued British participation so long as a challenge to the constitutionality of German certification in the German Constitutional Court is defeated. If the notice period is extended or a withdrawal agreement is approved by Parliament continued British participation may be possible. It is highly unlikely if the EU leaves without an agreement. The draft secondary legislation provides for the conversion of EU trade marks and Community designs and plant varieties into corresponding national rights. EU legislation on supplemental protection certificates and compulsory licences will be incorporated into national law. But the Brussels Regulation and Lugano Convention could fall away without a withdrawal agreement and English and Welsh, Scottish and Northern Irish courts will lose the right to seek preliminary rulings on the interpretation of EU law from the Court of Justice of the European Union. Should anyone wish to discuss this presentation or the effect of Brexit on IP rights generally, they should call me on 020 7404 5252 during office hours or send me a message through my contact form. Because intellectual property protects investment in branding, design, technology and creative output, any change in the nature and extent of the legal protection is likely to impact on the businesses that rely on such protection. Since EU trade marks, registered and unregistered Community designs, geographical indications and Community plant variety rights will cease to apply to the UK upon its departure from the EU, Brexit will have a substantial impact on all those businesses. For that reason, I have been writing and speaking about the consequences of Brexit even before the 2016 referendum (see Were we to go - what would Brexit mean for IP? 26 Feb 2016 NIPC Law). I contributed the chapter on IP to Helen Tse's Doing Business after Brexit, I have spoken about the topic at leading law schools (see Implications of Brexit on IP Law 19 Jan 2018). I have followed each and every turn of the Brexit negotiations in my Brexit blog in order to advise my clients accurately and comprehensively (see Brexit - Why do I follow the Art 50 (2) Negotiations when I am an IP Lawyer? 26 July 2018). It might be thought that everything that can be said about IP and Brexit has been said but, unfortunately, that is not the case. Unless the notification that the Prime Minister gave to the President of the Council on 29 March 2017 is revoked or the notice period is extended before the 29 March 2019 the UK leaves the EU at 23:00 on that day. The impact of this country's departure on business will depend on whether the country leaves on that date and, if it does, on whether it leaves with or without a withdrawal agreement. As I noted in my latest Brexit Briefing we still have no idea of the terms or even the effective date of our departure. Ever since the withdrawal agreement negotiations began I have advised businesses to prepare for all eventualities including a no deal Brexit. I have advised them to review their patent, trade mark and design registration portfolios and apply for national or as the case may be EU registrations to fill possible gaps in their legal protection, I have advised them to read their licences, franchise, joint venture and other agreements and to draft or negotiate contract terms to fill any lacuna. It may be too late to do some of those things but there is still much that businesses can do. My talk will list all the issues businesses will encounter when protecting their brands, designs, technology or creative output and the possible countermeasures. By the end of my talk business owners and managers will have a much better idea of possible risks (and maybe even a few opportunities) and the steps they should take. If you want to come, register here. It's free but you do have to book. If you want to talk about this subject call me on +44 (0)20 7404 5252 during office hours or send me a message through my contact page. TIPSY stands for The Intellectual Property Society of Yorkshire. It is an initiative of my fellow St Andrean, Andrew Clay, who has recently set up the specialist intellectual property law firm, Andrew Clay Legal, in Harrogate. Before setting up that firm Mr Clay practised from the Leeds office of Squire Patton Boggs. To launch TIPSY, Mr Clay organized a dinner at the DoubleTree by Hilton at Granary Wharf in Leeds on 15 Nov 2018 for some 80 intellectual property specialists at law firms, patent and trade mark agencies and other institutions throughout Yorkshire. I was invited as a member of the Intellectual Property Bar. So far as I could see, I was the only practising barrister there. The guest of honour was His Honour Judge Hacon who has been the presiding judge of the Intellectual Property Enterprise Court ("IPEC") since 3 Dec 2013. He was invited to speak to us after dinner. When he was introduced to us we learned that Judge Hacon had been educated in Leeds which I had not known. Judge Hacon succeeded Sir Colin Birss as the presiding judge of IPEC shortly after it had been formed. As I explained in What does the Intellectual Property Enterprise Court mean for Litigants in the North West? 12 Oct 2013 IP Northwest. IPEC was formed to replace the Patents County Court which was abolished by paragraph 30 (3) of Schedule 9 of the Crime and Courts Act 2013. Unlike the Patents County Court IPEC is a specialist list within the Chancery Division. The judge explained that he was assisted by Judge Melissa Clarke who usually sits at Oxford and by a number of recorders. There were also several district judges who sit in the Small Claims Track (see Small IP Claims last updated 13 Jan 2018). He described the work of IPEC and how it had evolved in the last 5 years. When he took up his appointment he had to impose time limits on cross-examinations and submissions frequently. He found that he had to do that much less frequently nowadays. The court was taking on more complex cases. In answer to a question from the floor, he could see no reason why it should not entertain an Unwired Planet type of case. Surprisingly, he said that the two-day limit on trials could be extended in suitable cases so long as the case management disciplines were observed. In answer to a question from me, he agreed that his caseload had dropped in recent years but explained that was because other courts were managing their cases in the same way as IPEC and that there had been an increasing rate of settlement adding that was no bad thing. The judge reminded his audience that his court (including the Small Claims Track) had a nationwide jurisdiction. He added that district judges were likely to be appointed who could hear small IP claims outside London. After the judge's speech, I exchanged a few words with Mr Clay. I congratulated him on his initiative and asked him about his plans for the future. He replied that our next guest will be Geoffrey Hobbs QC and that he is expected to visit us early in the New Year. In Can you keep a Secret? Non-Disclosure Agreements, Trade Secrets, Use, Abuse and the New Law I mentioned my talk at the Business Village in Barnsley on 22 Nov 2018 at 16:00. At whom is this talk aimed? Primarily people with bright ideas that are not yet ready to be launched such as inventors, designers, entrepreneurs and other creatives but it should also be useful to angel and private equity investors, lenders and their professional advisers. Everything. What is meant by "confidential information", "obligations of confidence", "non-disclosure agreements ("NDA") and "trade secrets". How the law of confidence operates. How the new Trade Secrets Directive alters the law. Uses of NDA What can be protected and what can't. Drafting a confidentiality agreement in the light of the new law. How a confidentiality agreement can be enforced. Interim injunctions. How to resist and discharge them. Likely risks and costs. Everybody who attends the course will receive by email a full set of slides and other teaching and reference materials. Nothing but you must register here in advance. What are the speaker's credentials? You will find my profile here. How do I get to The Business Village? It is a very short drive from the junction with the M1 at Dodworth. 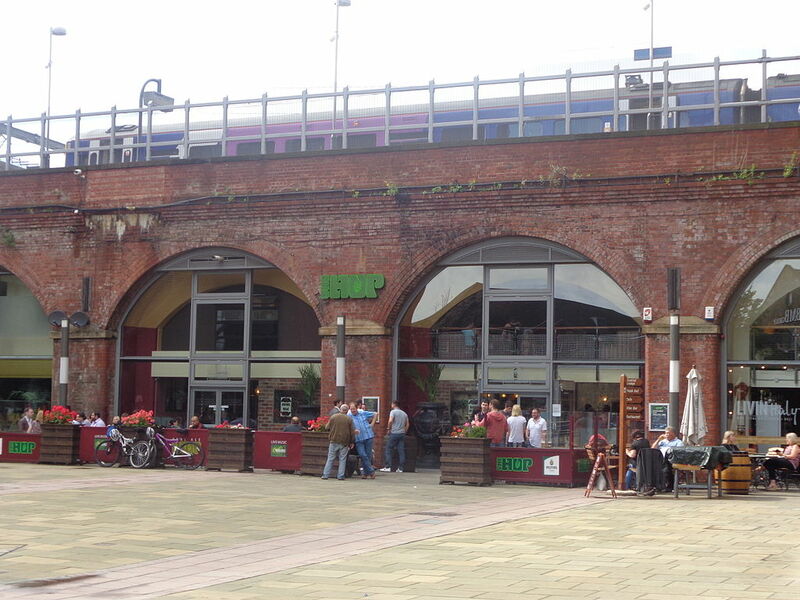 It is also close to the town centre. There is usually plenty of free parking on the site. If you come by public transport it is served by several bus routes to the Interchange station. Are you planning to give this talk elsewhere? Yes. All over the UK. The next stop will be London. Call me on 020 7404 5252 during office hours or send me a message through my contact page. The retailer, Wm Morrison Supermarkets Plc ("Morrisons"), is one of Yorkshire's biggest companies and the fourth largest supermarket chain in the UK. On Monday, 22 Oct 2018 it lost its appeal against the judgment of Mr Justice Langstaff that it was answerable for the misdeeds of one of its members of staff who had posted personal details about all its employees on to a file sharing site on the internet. The staff member, who was convicted of offences under the Computer Misuse Act 1990 and the Data Protection Act 1998, acted out of spite because he had a grudge against his employer. I blogged about the Mr Justice Langstaff's judgment in Morrisons - Primary and Vicarious Liability for Breaches of Data Protection Act 1998 in my data protection blog on 11 Dec 2017 and on the appeal in The Morrisons Appeal - Vicarious Liability for Enployees' Breaches of Confidence and Statutory Duty yesterday. Why is the Appeal in the News? Except in so far as it might be argued that Morrisons should have been more careful when recruiting, monitoring and supervising staff, the supermarket chain was an innocent party. It now faces a potentially massive claim for compensation from its employees as a result of that data security breach which is exactly what the perpetrator had intended. The thought that the court was helping him achieve that object troubled Mr Justice Langstaff which is why he gave Morrisons permission to appeal his judgment. On the other hand, Morrisons' employees whose personal details were exposed have rights under the Data Protection Act 1998 and at common law. They could sue the person who breached their rights but he is serving a custodial sentence for his crimes. If they are to get any compensation they will have to claim it from their employer. So why should Morrisons be liable? Both Mr Justice Langstaff and the Court of Appeal held that Morrisons were liable for the misdeeds of its employee under a doctrine known as "vicarious liability". That has nothing to do with vicars. "Vicarious" in this sense simply means "in place of". It is a rule of law developed by the judges in a succession of cases that enables claimants who can't get damages from the person who harmed them to sue the wrongdoer's employer. The first thing to say is that employers are not liable for every misdeed that their employees may do. If a member of staff robs a bank on his day off the bank cannot sue the bank robber's employer because that would be absurd. But if the employee hurts someone while doing his job - say a delivery driver runs down a pedestrian while driving his van - then most people would say that the van owner (or rather its insurer) should pay. The second is to consider whether there is a sufficient connection between the position in which the wrongdoer was employed and his wrongful conduct to make it right for the employer to be held liable for his wrongdoing. The Court of Appeal and trial judge applied that test in this case. The wrongdoer had been given the personal files together with instructions as to what to do with them in the course of his work as an internal auditor. That was enough to make Morrisons vicariously liable. Maybe but the alternative was to leave the employees without a remedy. The Supreme Court judge who set out the test said that the risk of an employee misusing his position is one of life's unavoidable facts. 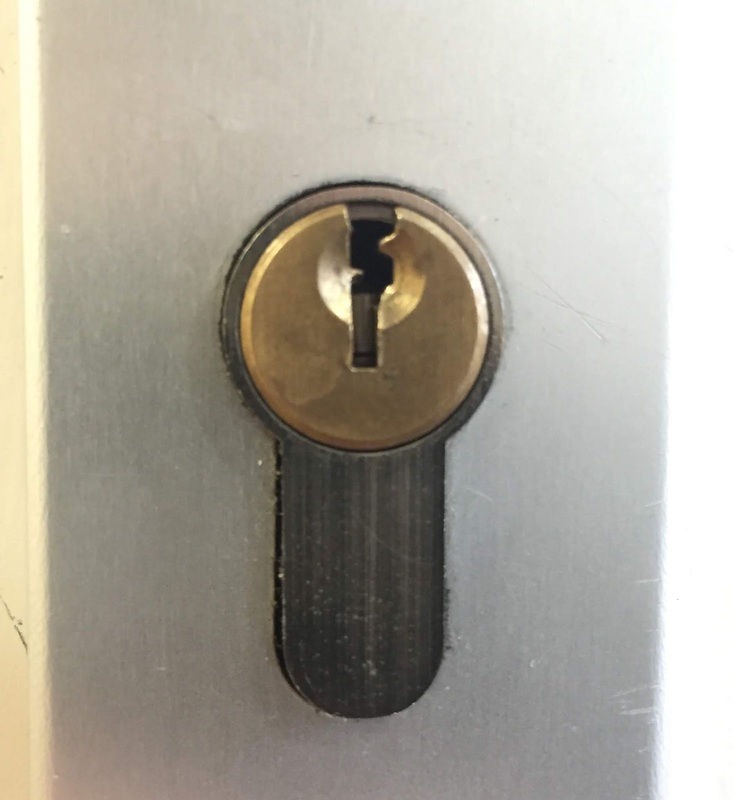 The Court of Appeal said that the solution was to insure against that risk. When you think of it, the position is no different from the position of a van owner who insures against accidents caused by his employees when carrying out their everyday tasks. That is correct. The General Data Protection Regulation ("the GDPR") and the Data Protection Act 2018 came into force on that day. The new Act repealed the Data Protection Act 1998. However, the new legislation provides for claims against data controllers. I blogged about the topic in Claims by Data Subjects against Data Controllers and Processors under the GDPR on 5 Jan 2018. A claim on similar facts would probably be decided the same way under the new law. Is this the Last Word on the Topic? Not necessarily. Radio reports said that Morrisons hopes to appeal to the Supreme Court. Even if there is no appeal or the appeal fails it is possible that other courts will seek to distinguish or explain the decision in future cases. You can find lots of information on data protection law including the GDPR and the new Act in my data protection blog. If you want to discuss this case or data protection generally call me on 020 7404 5252 during office hours or send me a message through my contact form. The government's industrial strategy is built on 5 foundations one of which is "place". In conjunction with the national strategy local areas are encouraged to develop their own local industrial strategies to "identify local strengths and challenges, future opportunities and the action needed to boost productivity, earning power and competitiveness." In a press release published on the 17 Jan 2018 the Leeds City Region local economic partnership announced discussions with the West Yorkshire Combined Authority on a "New inclusive Industrial Strategy to put region at forefront of UK productivity and prosperity." 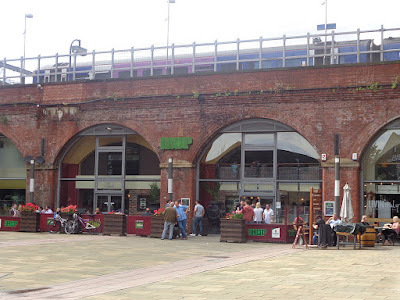 The Leeds City Region covers a vast and diverse area from the Yorkshire Dales to Leeds and Bradford. Each and every one of the districts of that City region has its own strengths and opportunities for which district strategies will be required. 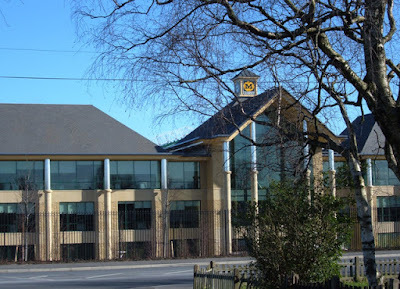 One of the metropolitan districts of the Leeds City Region is Kirklees which includes small towns and villages in the rural Pennines as well as former mill towns. It goes without saying that the needs of the rural communities are very different from urban ones. Realizing that it is up to local communities to help themselves, Will Roebuck, a non-executive member of the Leeds City Region LEP with 25 years experience of information technology, telecommunications and media, has set up a company called the Pennine Cloud which describes itself as "the challenger and accelerator hub for business and community leaders and top managers working across the UK's Pennine region." "How do we unlock the opportunities and benefits of the Leeds City Region's digital economy? 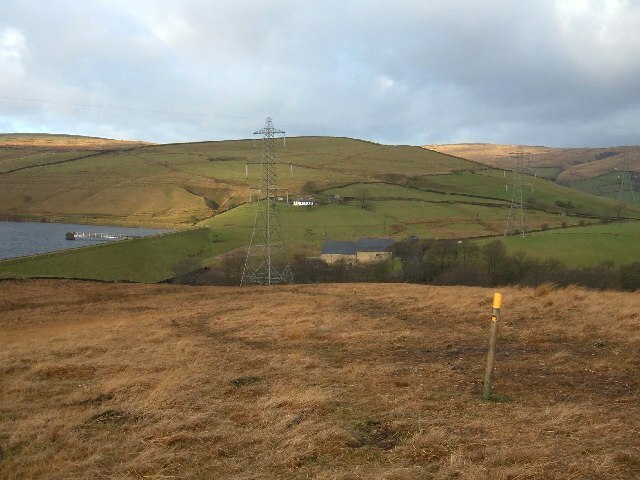 Especially in rural areas, such as in the South Pennines and Holmfirth?" The title of the meeting was "Smart Holmfirth' - Enabling Rural Digital Across The Leeds City Region"
12.30 Filling station - working business lunch. I did not count them, but I estimate that there were over 30 individuals in the room seated around 5 or 6 tables each of which had a label. Mine was "Infrastructure" and our table included representatives from Kirklees MDC, a local dairy products company, a retired gentleman who ran a coding club, a lady who ran a local community service organization and me. The labels of the other tables were "Tech", "Skills", "Traditional Business" and so on. Will gave a full presentation and Sarah a shorter one. Steve started to speak about funding and the various schemes that were available through the local authority and the LEP. He was immediately challenged by a member of the audience who complained that none of them was available to him or his business. Happily, he said he had obtained funding elsewhere. A lively exchange followed which was ended when Will asked each of the tables to consider individually the questions that had been out to us. After a lot of discussion each table nominated a foreman who read out its conclusions all of which seemed very pertinent to me. We did not really get round to the "Calming storms" or "Making rain" discussions as such but I am not sure that matters. I understand that Pennine Cloud will refer to our brainstorming in planning an industrial strategy for our area. This will necessarily be a private sector initiative led by Will and Valda but there is nothing inherently wrong with that. The only discussion of intellectual property was on the legal protection of big data. However, I can foresee plenty of inventions and other intellectual assets resulting from this initiative with which I should be glad to assist. Anyone wishing to discuss this article should call me on 020 7404 5252 or send me a message through my contact form. Janet Bray, L J Bray & Co.
Dai Davis, Percy Crow, Davis & Co. Ltd.